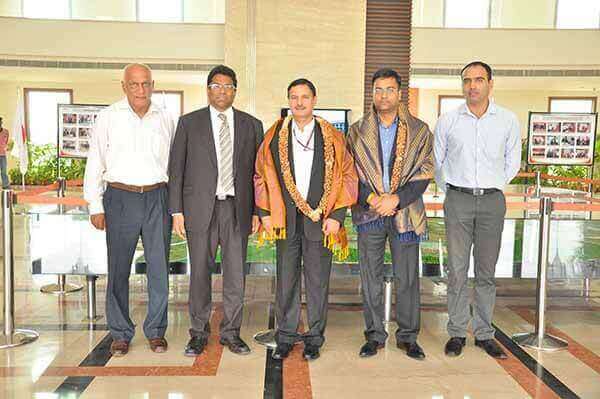 Director, Sri City extended a warm welcome and briefed them on the infrastructure and the unique features of Sri City. Sharing the experiences faced by him as developer, he mentioned some of the challenges faced and solutions adopted during the initial phase of development. Exhilarated at the clear vision, perfect planning and meticulous implementation of Sri City Project, Mr. Sharma said that he looks forward for frequent interaction with Sri City for learning from its experience. DMIC Development Corporation, a 100 billion USD government-sponsored infrastructure project, is India’s most ambitious Infrastructure programme aiming to develop new industrial cities as ‘Smart Cities’ and converging next generation technologies across infrastructure sectors. When the Project gets completed, it will be the world’s largest infrastructural project, with 24 smart cities, 23 industrial hubs, six airports, two ports and a six-lane expressway stretching 1,500 kilometres.